When I started my blog, one of my biggest challenges was deciding on what photography tools to use for blogging. Perform a single Google search and you’d be swamped with a myriad of options. It was very overwhelming sifting through posts, reading reviews, and narrowing down my selection. 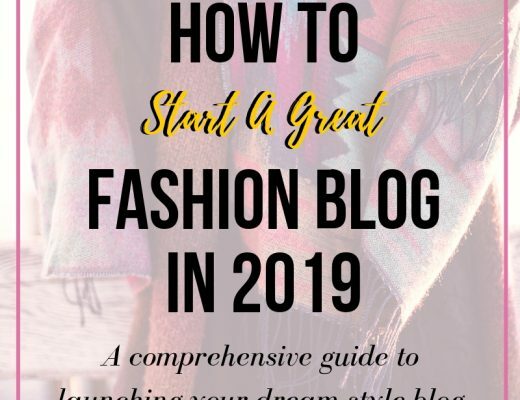 If you are looking for the best photography gadgets for bloggers, particularly fashion bloggers, you’ve come to the right place. These are exact products I use/have used, love and recommend. My first DSLR camera was a Canon T3 that I had received as a birthday gift. At the time, it was the best-rated DSLR camera on Amazon. I used it for a few years before upgrading to the Canon T5i which I currently use and ABSOLUTELY love. Learning how to use a DSLR camera can be daunting especially if you are completely new to the world of photography. However, it is also very rewarding when you get your first ‘perfect’ shot on manual settings. I played with my camera a lot and took photos whenever I got the chance (at events, get-together). If I got confused or totally messed things up, I simply reset the camera back to factory settings. I read the camera’s user manual, watched YouTube videos, and read blog posts to help me learn how to use my DSLR camera quickly. Among my blogging friends (bloggers and photographers), many of us started with a Canon Rebel series like the T3, and T3i and upgraded as we grew. I personally believe that the Canon T5i is the best camera for bloggers and photography enthusiasts who are just starting out with photography and want better quality images. I am sure that the newest Canon T7i is just as amazing if not better but I have never used it. For starters, do a few test shots indoors and outdoors in automatic setting to get a feel for how the digital camera works. Once you get comfortable with the camera layout, take a few shots on manual setting. Manual setting is where you’ll get your money’s worth of your camera. With the right lens, you can bring your images to life. This lens is the holy grail for best photography gadget for bloggers. The price and functionality (i.e. photo quality) are unrivaled by any other lens in the same category. A few weeks ago, someone asked in a private community of bloggers about everyone’s favorite lens. 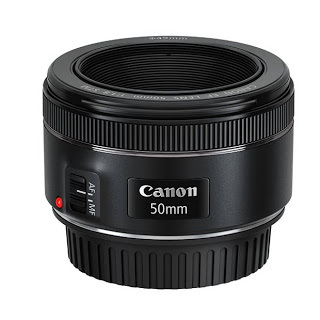 The Canon 50mm f1.8 was the highest hyped lens in the discussion. This is a great portrait lens beginner’s and seasoned bloggers. The Canon 50mm lens gives you the best bang for your buck. For a little over $100, you are going to get more uses out of this portrait lens than most other lenses. No wonder they call this lens the “nifty fifty” (think thrifty lol). It gives you the lowest f-stop so you can focus on your subject without the need to invest in a pricier prime lens to get this same capability. The Canon 50mm lens at this price point makes blurring out your background a breeze ?Here’s a portrait shot of me taken with this 50mm lens. Do not overlook the importance of a good SD card. If you’re not planning on recording a lot of videos, you’ll be fine with a small size memory card like 8GB. However, if you plan on shooting videos or taking higher quality photos in JPEG or RAW, you will need a memory card that can deliver both on speed and performance. 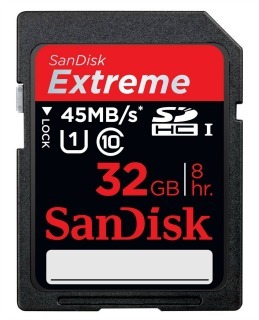 Since I bought a 32GB Sandisk Extreme memory card, I’ve had no problems. I also keep an extra (8GB) memory card in my camera bag just in case I need it. A camera bag is essential to protect your investment. 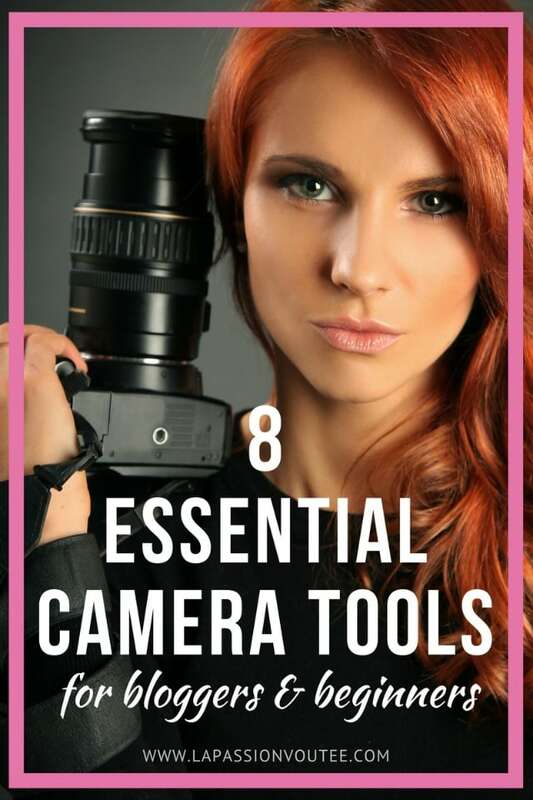 After spending so much money on your ideal photography gadgets, you want to make sure that these delicate tools are well-cushioned and protected anywhere you go. Go for a bag that is durable and made of high-quality material. 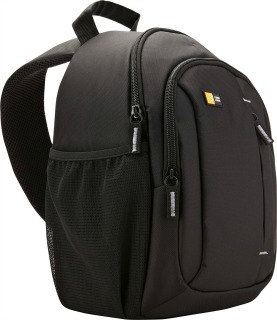 I currently use this camera bag by Case Logic. It has served me well over the years. I love the hammock-style strap because it allows me to quickly access my camera and lenses. I have traveled internationally with this bag and every time, my gear arrived intact. Now you may not think you need a remote shutter but if you plan on being your own photographer or shooting at a slow shutter speed, a wireless remote shutter (and a tripod) are absolutely necessary. The wireless remote reduces camera shake and increases the stability of your camera to prevent getting out of focus images. I use this RC-6 remote for closer shots. It is very small, lightweight and portable. The wireless remote shutter also comes with a tiny CR2 battery that lasts forever! It can easily be concealed in your palm, behind your purse, or thrown to the ground within the two seconds before your shot is taken. This is totally what I do when I shoot my own photos. 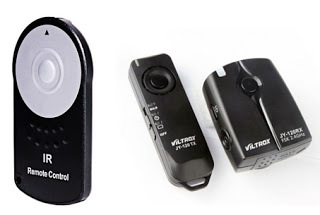 Alternatively, you can get a Viltorx wireless shutter for longer range photos. My Canon T5i seems more responsive to this remote than to the RC-6. 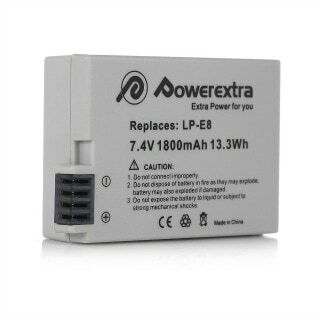 The Viltorx is slightly bigger than the RC-6 and requires two AAA batteries that I replace almost every month. 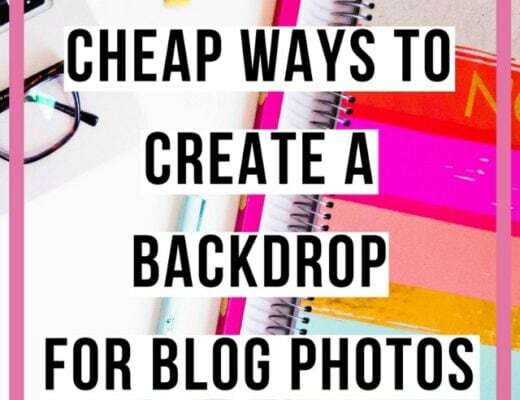 Now you can do your photoshoot single-handedly (no #InstagramHusband necessary haha). The last thing you want is to get ready to shoot and then realize that your battery is halfway dead. What is even more frustrating is getting dressed up and driving to your shoot location only to see the dreaded red battery light. I now have an extra Canon T5i battery as a backup. My sister thought she did not need one until this happened to her a few times while recording videos. She was not a happy camper. She ended up buying two extra batteries. 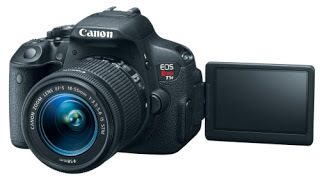 The ones for the T5i are inexpensive too. Oh, tripod! An often overlooked gadget. For your photoshoot, you need a sturdy tripod that will hold its ground when a gust of wind comes your way. The free tripod that comes as a bundle deal when you buy your camera will not cut it. I tried it and almost lost my camera on a few occasions. A few months later, one of the legs came off! 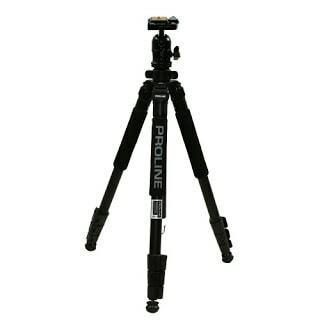 I knew it was a warning sign so I did some research before settling on this Dolica Proline tripod. I had no idea why it took me so long to buy this tripod because it makes my life so much easier. It can go as high as 62 inches which is more than enough for full body shots. This tripod is made of aluminum alloy and includes a ball head for 360º degree rotation. I used to get frustrated fiddling with my old tripod trying to get it to turn vertically for full body shots. Now, those days are over! If you are mostly going to be shooting outdoors, you may skip this tool. But if your goal is to take product shots like food and beauty products flat lays or record indoor videos, a soft box light will keep you from getting frustrated. I live in Alaska where we get about fours hours of gloomy daylight in the winter. Suffice to say I pulled out my softbox light on many occasions. Soft box light illuminates the subject perfectly which in my world makes it the next best thing to natural light. It also does not create that weird washed out color that regular fluorescent lights cause because the light spectrum is designed to be as close to natural light as possible. Set yourself up for success by getting the best photography gadgets for blogging. With these best photography equipment be rest-assured that you’re off to a great start taking remarkable photos for your blog. OMG! How exciting. Glad to hear that you’re enjoying it. The 50mm/1.8 lens is just amazing. You’ll love it just as much + the price is a no-brainer! Having large windows and lots of natural light makes life a lot easier when shooting. Luckily the softbox light helps a ton for those of us who don’t have large windows. Excellent post. You make me feel like taking my equipment with me every day. I am a Nikon lover though. Hello Anne, a great start would be to familiarize yourself with how to take and edit photos on your iPhone. There are a lot of amazing apps on your phone that can help you improve the quality of your photos. Some of my personal favorite are Snapfeed and VSCO. You can also try to borrow a camera if you have a friend who owns one. Another option is to rent one. In the past when I rented, I would batch shoot a ton of photos at the same time to save on cost and then slowly release those photos on my blog. 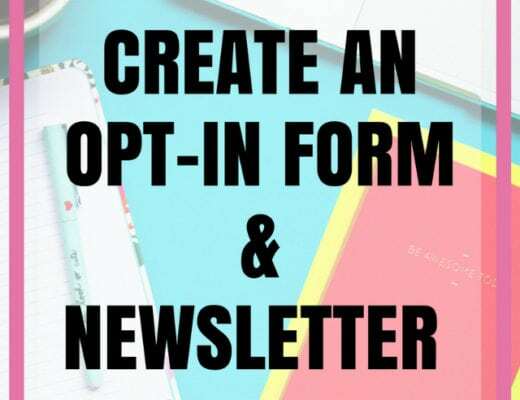 You can try to reach out to bloggers/photographers in your area to see if they’d be interested in doing trades (you volunteer your time to do something for them in exchange for free photos). Hope thid helps! My camera came with a bag, and I haven’t liked it since day 1. But I also haven’t been sure how to pick out a new one. Thanks for sharing yours! Great blog. I am getting ready to purchase a camera and buy all the needed items. Extremely useful and simple equipment﻿. Thanks for sharing. My pleasure Megan! Glad you found this post helpful. Great post! So helpful! Thanks for sharing! You are welcome Darriyan! Glad you found it helpful. Ah I see your point Cheryl. I live in a small apartment too. I set it up and kept it to the side where I have all my photography gadgets. That way it’s ready to go when I need it. It’s lightweight and does not take a lot of space which helps. These are all great tips. I can use my phone as a remote but I like the smaller remote you have listed. I also need to get a tripod. The small remote is amazing! These are great tips/gadgets. I use quite a few of these myself, or I guess I should say my fiance does. How does one measure ISO? Hello Roxy, your camera display shows the ISO setting you have. I usually turn up or down the dial depending on how sensitive I want my camera to be (keeping in mind grain/noise). Hope this answers your question. I totally agree with all these gadgets! My first camera was a T3, too! I just upgraded to a Canon 80D which was been so insane; it does so much and is such an upgrade! I have a 35MM lens with it since I do a lot of close-up shots but I am thinking of getting a 50MM too since it’s so affordable. Thanks for the advice! Glad you found this post helpful, Sharon. Oh yes, an 80D is a pretty nice upgrade. The 35mm lens is one badass lens for sure. Can’t go wrong with the price and value of the 50mm lens! I just bought a new camera and I’m so excited. These are all such great recommendations. That’s so funny, I literally have every one of these gadgets. I have a sigma art 35 lens though, I absolutely love it. This is right on time! I’ve been knowing I need to stop up my photography game but was not not looking forward to all the time I’d have to put in to the research. This is really helpful, I’m bookmarking for sure and going to look into that camera. They can be so expensive and that Canon looks like a great investment/upgrade option. Much appreciated! Glad you found this post helpful Marquita. I promise the time you put into understanding your camera will pay off (and save you lots of frustration). It can also be a nice little break from blogging. Great list! I’m a Nikon girl but I agree 100% with the tripod and softbox! I would die without mine! I’ve been thinking how I need to invest in some legit camera equipment. I’m still just using my phone camera – haha! Thanks for the roundup – very, very helpful! They can be a total game-changer! Glad you found this post helpful Kaitlin. I’ve been considering getting a soft box light for when I take indoor photos. Do you need to have a reflector to use that effectively? Hello Belle, I think having a reflector is helpful but not necessary. I do not use a reflector for my indoor photos but I’ve had a handful of times when it could have been helpful. This post is perfectly timed for me! Are you spying on me? I’m starting my YouTube next week and am laying out my plans for future gadgets. Thanks for this! Yes! I love all of those!! My canon now has an app and I can remote shot with my phone. It’s a game changer, I love it! This is such a great detailed post! I’m a travel photographer and work with a Canon 5d MIII. I definitely agree with having a sturdy tripod and a wireless remote shutter! They are lifesavers for solo travel. And the 50mm 1.8 lens is a great little lens. I just bought my first DSLR so I will be coming back to reference this page for sure! Sure thing! I’m sure you’d like it. Just got a new camera and I’m terrified to move the setting from auto. I know that feeling! Just do it and play with it. You can always move it back to auto. You can also find helpful tips in your manual. I was wondering how people hide those remotes! Hahaha know you know the secret 😉 Sometimes, I even hide it behind my purse or quickly tuck it into my back pocket. Great Post thanks for always sharing. I love this post! So helpfull, thank you! Excellent post. Helps us a lot. Thank you. Thank you. I’m happy it helps out. Great list. I will be sharing it with my newbie photographer boyfriend ASAP! I really want him to get that lens! Ah totally! It’s a great lens. It’s like you read my mind! I’ve been longing to find a great roundup of must have photo equipment and this was perfect! Pinning for later! After getting a DSLR camera for blogging my next important thing was to get a new lens. I don’t regret it. It makes pictures look better. Love my Cannon Rebel! I also use my telephoto lens quite a bit. I have a remote, but haven’t tried it out yet. Canon is awesome! Once you get a hang of using a remote, you would love it. Great information! I have just begun to look for the best lighting for food photography. Thank you for sharing your knowledge. I normally use my iphone for photos (I know, I’m the worst!) but when I can I use my Nikon! I’ve wanted to invest in a soft box light or even just some big light reflectors, but I just don’t have anywhere to keep them! Haha Sami you’re not alone. I use my iPhone for many of my Instagram photos too. Finding a place to store my reflector kept me from getting it at first. But once I got it, I easily found two places to stow it away. Great roundup! I’m still getting used to my DSLR – so much to learn! There is definitely a lot to learn with DSLR cameras and it’ll pay off. Thanks for stopping by Rachel. Great gadgets and tips. I would also include a ring light. Ever since I purchased one, my blogging life has changed forever! Yes Tiffany. I actually have a ring light but I only use it when I make videos and I haven’t made a video in over a year. It’s definitely a must-have for YouTubers. Love Canon! These are great tips and gadgets too! Me too Jessica 🙂 Canon is a great brand. Cannon is the best for me ! I'm a sony kind of girl but thanks for sharing these. Thanks for stopping by Amy. I’ve heard many good things about Sony too. I have a Canon T3i and it was my first DSLR. I once bough a cheap tripod that could get as high as 62" and it once fell with my camera on it, the 18-55mm f/3.5-5.6 lens has been damaged ever since… Not a nice story. And I have never owned soft box lights, I instead cover a regular lamp with white paper and it creates the same effect. Oh man, that’s not a happy ending for your lens 🙁 That’s a cool diy option for a soft box lens. Great post! I just recently got that Canon lens and I LOVE it!